I believe Vibe HCM is a very good solution for small to mid-sized organizations. Make sure you have created a list of requirements. The specific questions you ask are dependent on your organization's needs. Vibe HCM is highly configurable. That flexibility is extremely useful. The portal pages create a friendly user experience that aids in adoption. Vibe takes action on change requests and enhancements quickly. The number of employee self-service options allow for easy colleague use. Re-Hire process is not well-defined. I have not had an easy time with any employee I have re-hired. ADP has acknowledged that there are issues with this process so hopefully they are looking into it. Reports - The report name does NOT always indicate what the final report will supply. It would be very helpful to show a sample of what the report looks like when completed so we can see if it has the information needed. At this point, I have to go thru the whole process of selecting the criteria and running the report and then find out if it is what I was looking for or not. It works just as advertised! Not always the case with solutions. Flexible and configurable! World class service and support! Second to none! 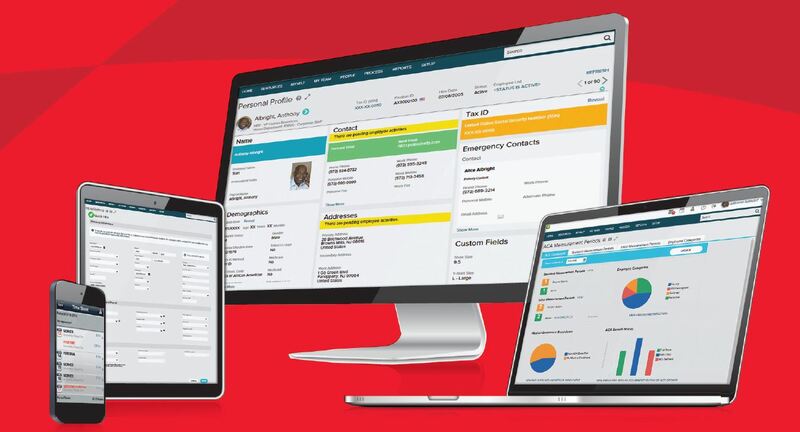 Our core HRIS system is ADP Enterprise. We were able to get the legacy employee self service contained in the old product up and working. Eventually ADP withdrew support for self service and doesn't support self service for premise based installations. We needed an employee portal. We heard about Vibe HCM and visited with them early 2007. It was a no brainer. The implementation of the basic functions was rapid and had very few issues. We have added functionality as our organization has been able to adopt the changes. Workforce Now has definitely improved our efficiency and consistency because we can pull reports into specific formats for importing into our databases. This means less hand-keying of simple things like address changes or new employee data, which makes our team more efficient and accurate. Often our Accounting Team really struggles with understanding ADP's specific lingo, which can make it a challenge for our Payroll/Benefits Team and Accounting Team to interact. It's taken time to understand, for example, that "Business Unit" means "Account Code". Being paperless has saved about 250K per year on staffing. Many other soft saving have been realized due to the streamlined on boarding process. Total Rewards has been a big hit with the employees and managers. We offer our products as a comprehensive suite, or on a modular basis as our clients' needs, priorities and budgets dictate. Our clients do not need to do a full "rip and replace" of current systems that are working to deploy Vibe HCM. We can seamlessly integrate with existing technologies, providing a highly engaging "one-stop-shop" / unification platform.